The good news: HBO is back in Austin at this very moment shooting the third and final season of The Leftovers. Austin serves as the show's Miracle, Texas, in a world torn asunder by the sudden disappearance of 2 percent of the population. Much of the cast returns from season two. The bad news: The Austin stay will be done in the blink of an eye, with the bulk of the season lensing in Australia. Indiewire has a great breakdown on how this fits into the plot. For once, this isn't about the shrinking Texas film incentive funding that sent Robert Rodriguez packing to New Mexico. It's really about where the story itself is headed. And can we really be upset when Austin kidnapped the series for its second season after the first was shot in New York state? And, hey, The Son is rising in Austin (and needs extras! ), so no worries, mate. The Leftovers remains some of the best television out there. Based on Tom Perrotta's novel of the same name, the series has a fine pedigree with Damon Lindelof, the showrunner for Lost, at the helm. Read my Austin Chronicle interview with the show's executive producer Mimi Leder for more on that. 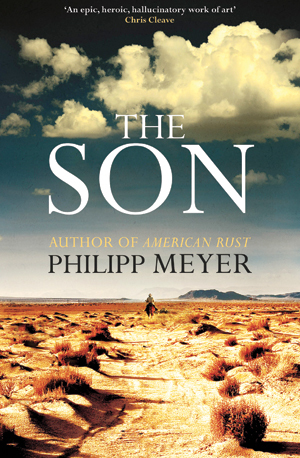 Brock/Allen Casting is hosting an OPEN CASTING CALL for a new AMC series, The Son, a period piece based on the award-winning novel by Philipp Meyer. Filming to begin early June-September 2016. AND NATIVE AMERICAN INDIAN ETHNICITIES. Males AND Females, AGES 18+, NO visible tattoos or body modifications. Headshots welcome; photos will be taken onsite. This is a world of cowboys, vaqueros, oil loggers, and American Indians clashing on the frontiers of the American West as Texas rises to make a name for itself, spanning the years 1849 to 1915. If you have wardrobe that you feel fits this time period, please come dressed! If not, COME AS YOU ARE! This coming Sunday, May 22 from 1-6 p.m.